Oh lord, no one will ever know! There is so much natural beauty across the Antilles. Indian Arrival and Emancipation Day. Callaloo and dumpling, souse and black pudding. Your friends will mamaguy you and you'll ramajay. The best things are from Trinidad and Tobago. My twin island nation in the Caribbean. Tony, you drunk again, why you drink again? Who sick now, Tony? Who dead now, Tony? He said, Boy, you don't know between my toes have a big corn. I got to take one. Tony your birthday gone, why you taking one? And when there is pouring rain, Tony drunk again. Tony, I want to know why you drinking so? Whenever a baby born, Tony must take one. Tony, I feeling sick, run for the doctor quick! I must take a drink or two. I can't take it so. Who sick now Tony? Who dead now, Tony? Stop drinking, Tony, stop drinking daily. Call this your Carnival education. Son, leave Carnival alone, preacher, leave Carnival alone! Leave Carnival alone, leave Carnival alone! The money she make from vending, is she house she renovating. Leave Carnival alone, preacher, we eating ah food right down to the bone! I can testify, it begins with me. See?! Leave Carnival alone, preacher, leave Carnival alone! Machel just sing in a party. He shake he head though he sleepy. [Leave the Carnival!] Tell them again! It is time you take off your blinker. Preacher, leave Carnival alone, leave Carnival alone! Thank you, Manchild! I am listening to this song and actually feeling Trinbagonian Carnival sunshine. Spoken: A father is the pillar of strength in a family. So it is written, so it shall be. Just so that his children could see a better and brighter day. He had to keep his family together. Daddy! I know you do what you do, I know you did what you did all for we, all for we! Then she stretch and stretch to ensure we had a better and brighter day. He had to keep our family together. A real man have to mind all he children. Yuh hear mih! Each parent has a role to play to provide a better and brighter day. Thank you, Rikki Jai. I am bowing low. This is a moving and inspirational song, made even more so because it is a story of the struggles and love within a family with which many Trinbagonians can identify. Your appreciation of your parents and the care that they took of you is such a beautiful thing to witness. I agree with you that a father's presence in a family makes a difference - a good father, that is. Think for example of some of the children who have been victims of abuse in our society and one thing that many of them have in common is the absence of their fathers and the presence of a fourth party who may resent the offspring of another man. I am not saying that all "stepfathers" are unkind to the children that they inherit and I am certainly not saying that all biological fathers are better fathers than "stepfathers". Rikki, I had parents like your parents, and as I listen to this song I am reminded again of how lucky I was. Thank you for this song and its uplifting and positive message. The songs of complaint about our society's ills have their purpose but we should remember also to acknowledge and give thanks for all the good that persists. Some say money is not the problem but something making mih country drag. But you boasting to all and sundry, this year you turn fifty. To their judgement we must keep bowing, most insulting indeed! Just to breathe their cold air and wear a wig? Ask ------------ distribution who making all the dough? And they turn their back on their culture and no kaiso tent can't full. Granted power by the legislation, must still answer to Port of Spain. 'Cause we chase 'way the Scarlet Ibis, when last you see a cocrico? But we boasting to all and sundry, this year we turn fifty. Don't colour me orange, color me GOLD! Trinidad, I shame! Shame, shame! Kaiso, Kaiso, Kaiso! Thank you, Singing Sandra and Christophe Grant. Although I do not support capital punishment, I get the broader point that is being made and I will be thinking about this song for weeks...the music, the lyrics, the delivery, the ideas. Well crafted songs like these that make you think, that make you bow down before calypso, are too few these days. Singing Sandra, I will never stop singing your praises. Stay true to this sacred vocation because whenever you sing, even if as a voice in the wilderness, I feel all that is strong and righteous in our nation encircling you to dance. Words of the founding father. Yeah, gimme the music! For my beautiful twin island, Mother T&T. Gimme the red, white and black, Mother T&T. Is pure love, children of Mother T&T. Love one another, love one another. Let's take Trinidad and Tobago higher. Pure love, children of mother T&T. Spoken: I know we may come from different fathers but that is no reason to keep us apart. Trinidad and Tobago, it's time that we start. We heading for a new future and we could only do that together as one people. Mother Trinidad and Tobago, love you! Yeah, yeah! Mother T&T, T&T, T&T, children of Mother T&T. Blessings! If you haven't already seen Carlisle Chang's account of how the colours were chosen for the national flag of Trinidad and Tobago, then have a listen to the video below. 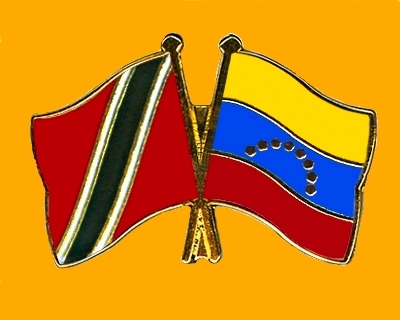 Outside of our national flag, I first heard this particular combination of red, black and white being referred to in Juan Luis Guerra's song,"Naboria daca, mayanimacaná"- a song about Caribbean First Nations conquest and genocide - where he uses the Taino words "ris, yu, peiti" meaning "red, black, white." More recently I was reading an article by the archaeologist Arie Boomert, "Crossing the Galleons' Passage: Amerindian interaction and cultural (dis)unity between Trinidad and Tobago." Journal of Caribbean Archaeology, 2010, and I discovered more mentions of red, black and white, this time referring to the colours found on the pottery of First Nations peoples in Trinidad and Tobago"
"Pre-fired painting in red, white and black remains typical...."
I pleases me, even if the similarity is only coincidental, to think that the choice of colours for our flag was not a coincidence but proof of guidance by a persisting Amerindian esthetic or spirit. This land is red, white and black on so many levels. 3 Colours. By David Rudder, Bunji Garlin and Faye-Ann Lyons. Got to let the healing start. So let the whole world know we are Trini to the marrow. So Trini love will flow again. This ship ready for sailing. Unite for the country to win. The T&T River: "Tips on Preventing Child Abuse – Educate yourself please!" I came across a very thoughtful, informative and moving post on child abuse at the blog The T&T River. I am recommending it here: "Tips on Preventing Child Abuse – Educate yourself please!" T&R River, I tried leaving a comment on your blog but I kept getting the message that there was an error with my submission. Thank you for this post! Har taraf har jagah beshumar aadmi. Even then, man is a victim of loneliness. A man is a grave for his own corpse. Everywhere, man is a victim of man. Har naye din naya intezar aadmi. Every new day is a new waiting for man. Aakhri saans tak bekaraar aadmi. 'Til the last breath, man is always without peace. Thank you, Lata Mangeshkar and Jagjit Singh. Phir bhi tanhaiyon ka shikaar aadmi. I did not respond well to the news of Josiah's death. Since my post, I was relieved to find the article below by an unidentified author. I wish that I had been able to write it because it addresses with empathy the roots of the problem rather than the fruit. Josiah's abuse and death, the dysfunctional family into which he was born and the neighbourhood which harboured his abusers are all fruits of a violence that is systemic in our society. It helps nothing to simply respond with anger like I did, if we are not going to do something, no matter how small, to start addressing the underlying causes. Yes, some may say that it is the anger of others that is needed to shock the dreamers awake. We all share this society and at some point we have to tell those who have become too comfortable with their "issues" that society is no longer going to be their enablers, that they also have responsibilities as adults to find a way to address their problems. But anger can lead us to respond rashly and anger also fades after a while and very often when it is spent we find that we have not moved forward but have slipped back into passivity to await the next trigger. It is the thoughtful analyses of people like the author below which should be solicited and used towards creation of support systems to help those who feel that they lack the tools to help themselves. A failure to act turns fatal. Amidst the regrets and recriminations heard every time a child is murdered, many persons invariably hasten to make a distinction between "discipline" and "abuse". Yet the reality is that most abusers do not know when they are stepping over that blurred line, and so "disciplinarians" can easily become child-killers in a society where corporal punishment is widely approved. 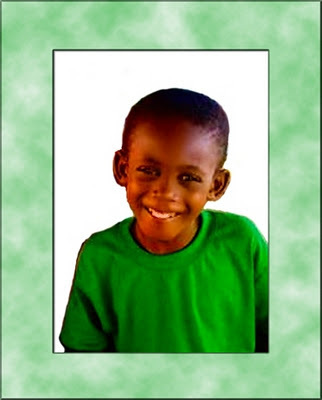 In the case of six-year-old Josiah Governor, who was beaten to death last Friday, reports suggest that the alleged killer used to beat the boy to do better in his schoolwork. If so, the perpetrator was performing an act which 98 per cent of parents and teachers, according to a 2004 survey headed by Prof Ramesh Deosaran, approve. This, along with distrust of the police, is why Josiah's neighbours, despite hearing the child's cries over many months, never reported the matter to the authorities. Yet the neighbourhood was only the last set of adults to fail Josiah. Even the circumstances of his birth made it more, rather than less likely, that the odds would be against him as he grew up. His mother was in her teenage years when she conceived him, and so little more than a child herself. Josiah's biological father abandoned him when he was still a baby, hence further weakening the child's family network. When Josiah's mother formed a relationship with another man, this created another downward spiral for, while there are many good step-parents, adults who are not biologically related to children are more likely to abuse them. In an interview with the Express yesterday, Josiah's paternal grandmother revealed that she was aware of the abuse her grandson was experiencing — indeed, the child had begged her to take him into her home. But, when she threatened to report the abuse to the police, the grandmother was told that, if she did so, she would not be allowed to see Josiah. So she kept silent, and now her grandson is silenced forever. In this death, therefore, the whole society is culpable. Josiah's family failed to fulfil their most basic duty — protect the life of their child. The community failed him, by refusing to get involved even to the extent of reporting the matter to the police. The teachers at Josiah's school failed, either by not noticing that anything was wrong, or failing to deal with the issue if they did notice. The social services failed from the time Josiah was born, by not identifying the mother and her baby as at-risk. And all the adults in Trinidad and Tobago who believe corporal punishment is justified have tacitly contributed to the cycle of violence which all too easily leads to the killing of children. Dona la pace, dona la pace ai nostri cuori, oh Signore! Resta qui, insieme a noi, resta qui, insieme a noi. Give peace, give peace to our hearts, O Lord! Stay here with us, stay here with us. Dona l'amore, dona l'amore, ai nostri cuori, oh Signore! Give love, give love to our hearts, O Lord! Dona la pace, dona la pace al mondo intero, oh Signore! Give peace, give peace to the whole world, oh Lord! Dona l'amore, dona l'amore al mondo intero, oh Signore! Give love, give love to the whole world, oh Lord! National Domestic Violence Hotline at (868) 800-SAVE (7283) for 24-hr telephone counselling, support and access to safe accommodation. Man suspected of beating boy to death over homework. POLICE are probing the death of a six-year-old Laventille boy who was reportedly beaten to death by a male relative for not doing his homework. Homicide detectives were up to late last night at Herman Scott Road, taking witness statements and searching for clues at the home where Josiah Governor lived with his 22-year-old mother and the male relative. According to neighbours, the frail child would be constantly beaten by the 25-year-old relative and for not doing well academically with one neighbour saying that the suspect was a "bright boy" and the child was a slow learner. "What that child could do to get licks like that?" one neighbour asked as members of the media spoke to neighbours who gathered near a parlour discussing the matter. They said they were accustomed to hearing the child's screams, but no one ever intervened. Lystra Salazar, a neighbour, said one time she threw a big stone on the roof of the home because she was tired of hearing the child screams. "Them living here years now and he accustomed beating the child. One time I wanted to call the police but my mister tell me no. Last time I couldn't take it and throw a big stone on the roof," Salazar said. Another neighbour who wished not be named said she would normally hear the child and the child's mother "bawling" but never thought to intervene because she "not getting in man and woman business". Police said the child was taken to the Besson Street Police Station around 3 p.m. yesterday by the two adults who asked that the child be taken to the Port of Spain General Hospital. The officers who noticed the child was unconscious rushed the child to the hospital where he was reported dead on arrival. Officers believed the child was beaten with a blunt object as there were several marks about his body. The child was brought to the station, police say, wrapped in a piece of cloth. Police are awaiting autopsy results before determining whether the killing can be classified as a murder. The couple are assisting police with their investigations. Sometimes, I am really sorry for us and what we have become. Aided ably over time by those who have had the power to contribute significantly to setting the tone and direction of our society, we are now all hapless children it seems. Every time there is another injustice, the babies begin to howl and wail in their cradles. No one responds out of genuine concern, and if they do, the concern has a time limit of three seconds. The babies continue to fuss, perhaps adding some coughs and frantic kicking for effect. If there is a response, we are told either to shut up and stop making noise or to direct our complaints to the previous caretakers. If a slap upside the head can be executed without leaving much of a mark, the hot spots are the targets of choice. An equally careless caretaker may throw us a pacifier coated with something sweet but injurious or sing us some vapid lullaby composed on the fly about what Santa will bring us if we don't pout. 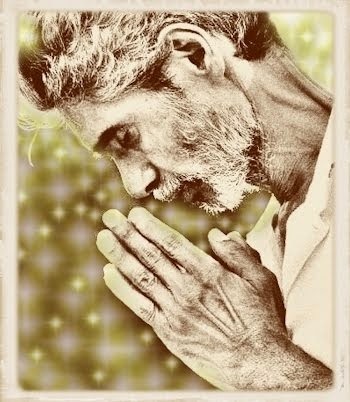 Most of us eventually cry ourselves to sleep with feverish brows, tear-stained cheeks and with rum or an unfinished prayer on our lips...six of one, half a dozen of the other, some may say. Battered woman syndrome be damned! I am not waiting for the results of any autopsy. I charge you all with murder - woman, man and neighbours. I am remembering the story about Sabrina Lalla-Mitchell and how she was stabbed to death to the rhythm of her co-workers' cowardice and her "husband's" rage. Same story, but this time the lifeless body is that of a tiny broken dove, another frail, defenseless child who did not have a fighting chance against the blows of an adult. - pretending that a mister's "No" has ever stopped a woman from doing what she is determined to do. - mumbling about the travesty of interfering in "man and woman business." - congregating AFTER the fact near a parlour to discuss the matter as a community. Who named this child? Who valued this soul enough when he came into this world to name him so beautifully? For Christians, this name, Josiah, is not a frivolous name. This name coming from the Hebrew literally means "healed by Yahweh" or "supported of Yahweh." Where was Yahweh, you may ask, when His child was being pummeled to death? He was persistently in the ears and voices and the hearts and the hands and the bodies of the community of persons who are now pretending that they did not know what God expected of them. They were fully aware of that child's distress and chose not to come to his assistance. This is not God's handiwork. It is society's. This is not Mr. Gibbs' doing, although by the time the murder statistics come out for the first quarter, most would have forgotten, or will choose to ignore the fact that this murder, as well as many others included, can be traced directly back to our own sins of omission and commission in the formation of our children. It is more convenient to put the blame on the Commissioner, even more laughable in this instance because Mr. Gibbs was imported from another society. Perhaps if we must blame him, we ought to accuse him of not hiring a team of ace psychics who can predict when and where every crime will occur in T&T so that the police officers can arrive on the scene an hour before instead of after. But we remain babies and babies, you see, cannot be expected to fathom such complexities. They just need their excreta to be removed and their bellies to be filled in a timely manner. Josiah was another test and we FAILED! His mute, dead body lies as our conviction and punishment. I still love you T&T but you have to take the lead, I mean, YOU, the people. You will be respected only as much as you respect yourselves. So much and too late for Josiah, but Minister St Rose-Greaves, while other communities wait for formal training, couldn't your office, together with the Police Service organise some informal community meetings using the social wardens throughout the country to remind people about how they can and must try to make a difference when they observe that their neighbours are at risk? It seems ridiculous that we should have to be taught how to find ways to love each other but for better or for worse, this is the world in which we are to be tested. 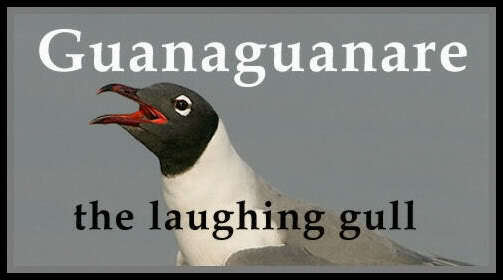 And that's the punishment ------ the calypsonian. In Trinbago, you must bow down to calypso! But you will feel the blow when we jail you in calypso! This ent chutney, you know, you must bow down to calypso! And Gabby destroy Tom Adams in Bridgetown city. If Sparrow lie, is still true you know. You can't play macho, you must bow down to calypso! Kaiso make Eric Williams bawl out, "Let the jackass bray!" So who the hell is Jack Warner, he's a small fish, I say. We come like the Pharaoh, you must bow down to calypso! "10 Reasons The U.S. Is No Longer The Land Of The Free." I have often found myself wondering if any reflection and self-examination was possible and Jonathan Turley's article has renewed my faith. I wish with all my heart on behalf of that country and the rest of the world, that the conscious people of USA can find a way to eventually elect a leader who will speak the truth, no matter how unpleasant, to the sleepwalkers who are forever damned it seems to not think for themselves but to provide the Pavlovian responses to the usual vulgar and baseless utterances of those who are violating them and laughing all the way to the banks or wherever it is they go to celebrate the Orwellian nightmare that they have created. Trinidad and Tobago, be vigilant.